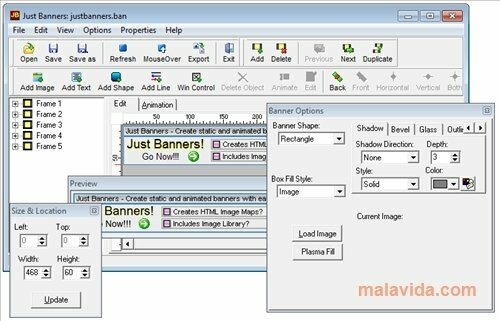 Banners are the quickest and easiest way to advertise a website, managing that your banner appears on another website (the more visits the better) assures at least that you attract people's attention and probably a few more visits, but to create a good banner it is necessary to know how to design it properly and have the proper tools, like Just Banners. 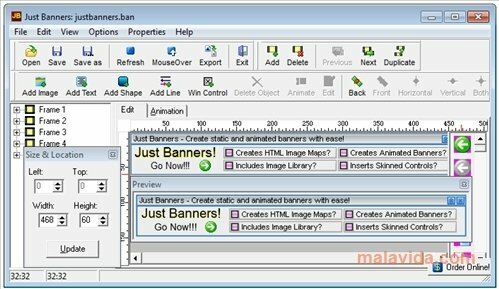 As its name indicates, Just Banners can only be used to generate banners. 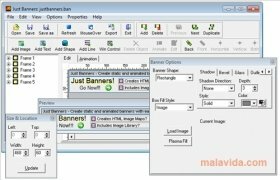 Once we have chosen the size, it is possible to start designing an animated, static or mouse interacting banner; there are many options and it will be the user who decides which it the most convenient one. 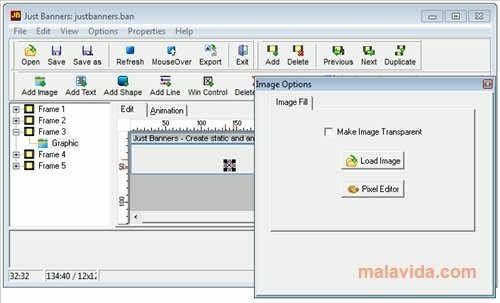 This program is a small image editor that includes quite useful libraries that are specifically designed to generate banners, in the libraries we can find arrows, glitter effects and similar icons that once included in the design, will attract people's attention. 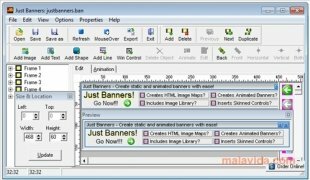 With Just Banners you can design good publicity for your website and manage to achieve the maximum amount of visits as possible. 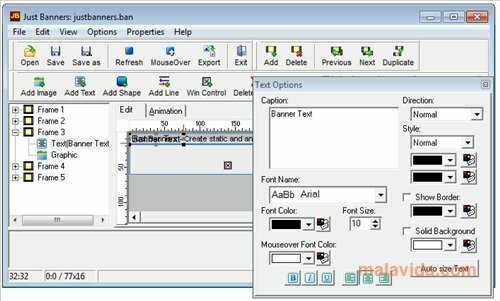 The trial version only allows you to use the application a total of 25 times.